Healthy Steed is dedicated to getting the most out of your pet or performing animal, allowing you to really enjoy your horse the way you ought to be able to, making them happy and comfortable. Engineering work dried up as industry fled to China. I was out of work. We lived on my wife’s salary as an AP nurse. I had ripped something in my shoulder, and while I was waiting to be seen, I picked up a magazine and it opened to a “Dear Dr. Herbalist” article. 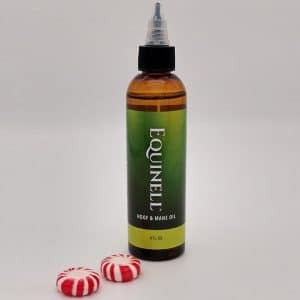 The author recommended mixing two essential oils to help with nail fungus. That runs in my family. I tried it, and it worked, but it was harsh. So I started messing around with essential oils, looking for something that would work but be less… “toxic”, would be a good word. I sent a mix off to a microbiological lab, and got a call from one of the owners asking me to explain again what I had sent them. When he finally believed me, he said the mix was as effective as anything they had ever seen, and that they had not yet determined its Minimum Inhibitory Concentration (MIC, an index of potency). They kept diluting it and it kept killing the whole plate (Petri dish with growing fungus). That began the process and a relationship with this lab that lasts to this day. With their initial result in hand, I was accepted into Biostart, a medical incubator firm in town which financed, found financing, and enabled the development of the current formulation. Along with a lot of help from the materials supplier, who provided samples and opened up their library of chemical analyses, I was able to systematize the search for a synergy among groups of 2 and 3 compounds. A synergy is when two ingredients work very much better than either one alone. Synergies cannot be predicted. Nobody looks for them because they are hard to find and, frankly, it’s pretty barren ground. But I found one. According to one registry I hold the world’s only patent for a combination of 2 natural ingredients that just wipes out most bacteria and fungi: “Topical Antifungal Composition”. Actually, now it is 10 patents around the world. We formed the Company and branded the first product, “Tonel® Topical Oil Treatment”. During the human test of Tonel®, which ran over several months, I went on vacation to do some surfing. I had a terrible accident when a freak wave caught me and drove me into the beach. In an instant I had 2 broken vertebrae in my neck, a crushed disk, and permanent damage to my spinal cord and several peripheral nerves. How I even survived is a story in itself. Thanks to two men who pulled me out of the surf, a really good surgeon who put me back together, my family, and 3 years of rehabilitation, therapy, and recovery, I am mostly back to normal. While there is a chance I will eventually become paralyzed (1 in 3 will), I hope and believe I will be one of the lucky ones. During my recovery my sister Marlene took up an interest in Tonel® and started messing around with it. We tested it on animals, where it cleared up their feet in a jiffy. We made a surfactant (shampoo) mix and found it worked wonders on skin. Then we found Tonel® kills blood sucking insects (and a variety of plant pests, too). 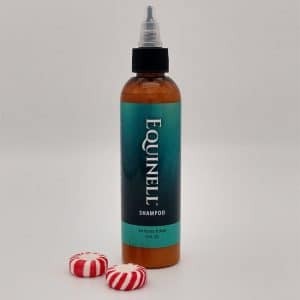 That’s how Equinell™ Hoof and Mane Oil and Equinell™ Shampoo for use on both horses and dogs came about – my accident and Marlene’s love of horses. Sounds nearly impossible? I like that. I started off in a house with a chemistry lab, an electronics lab, and a photographic darkroom as separate, dedicated rooms, and a large, very interesting library. I did a little less than OK in school, but was accepted into the Mensa Society at 19. In youth, I had few friends, so I had time to mess about in that chemistry lab (without the knowledge or consent of my dad). My first college degree, BGS, is what they give you when you have taken a bunch of mostly STEM courses, but not enough in any one subject to make it a major. It turned out to be just the right thing for me, because I got to study a great many different things, not only in the sciences. There I also found my deep love for philosophy and history. My father, himself an engineer and in many ways a genius of the old guard (he had an Einstein Number of 2), got it in his head that I should build my own car, rather than just buy one. He footed most of the bill. Well, it was a mistake for easy transportation, but after 2 years of effort I was riding around in a ’62 VW bug re-titled as a dune buggy. I had gone through it completely and it was a blast to ride, even in winter. Cold as hell, it went over snow like it was sawdust. I drove it to school for years. My first and very best job ever was as Captain of the Winton Woods Queen and Princess tour boats. These were true stern wheeler watercraft, built by the maintenance department: ancient, leaky, top heavy, hard to steer, and absolutely wonderful in every way. I sold tickets, gave rides around the lake, took care of the boats, had use of the fastest boat on the lake when needed it, and 24 hour access to the park. Wow. But then we all moved to THE FARM. I never really knew why my parents did that. It was both an adventure and a hardship. A single kerosene stove heated the house. Barely running water, the kitchen was served by a hand pump from a cistern. Living there required a lot of hard work… and invention. That’s where I learned why farmers make great inventors. It’s called making do with what you have. My next real job came after college. Jobs were scarce, and I wound up working in a chemical plant as an electrician. I stayed there almost 4 years. The experience was invaluable. Chemical plants are incredibly complex and I had complete access to all of it. I got married during that time, and at one point Sheila suggested that I should go to engineering school. To this day, I don’t know why they took me, but I got in and somehow got through. My advisor was a very kindly man, I must say that. And then I took up work as a mechanical engineer in an engineering firm. I loved the variety of work. Every project was different. It was nerve wracking, though, always on the wrong side of the learning curve, but by that time I had gotten pretty good at getting pretty good. I became a project technical manager and senior engineer. After about 20 years of it, I had done some fairly important work in aerospace, process, and even high speed controls. Ever Eaten a McDonald’s Burger? I made 2 major upgrades to the plant that makes an oat fiber ingredient for the buns. It keeps them fresh, and replaces a chemical. Ever Flown from Dubai to Beijing? Know Anyone with Parkinson’s Disease? I built the equipment to safely handle ractopamine, the world’s first treatment. Ractopamine is incredibly poisonous (as are many drugs). The client was unsure whether it could even be done. My stuff worked perfectly. 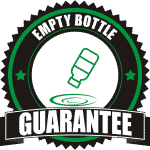 I lost my job and discovered the Equinell™ secret. See “About Us” (Above) for the rest of my story. I do not consider myself a hoof care professional as I do not care for hooves for a living, but I do feel that my expertise is at least equal to what one would expect from a professional. I have been owning and training horses for 55 years, and for at least the last 40 years have been very closely interested in hoof care. 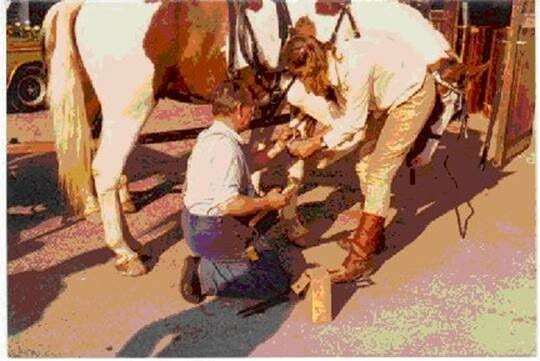 Already at the age of 10 I would hold up hooves for the farrier (this is how it is done in Germany), and as I was strong and fearless, many horse owners asked me to do that in their stead. So I learned a lot by watching and listening. Consequently, I used to replace shoes on my horses, shape new ones, help other owners with lost shoes, and trimmed my barefoot horses on a regular basis. In hind sight, I really did not know what I was doing, up until about the year 1999, when I plunged head over heel into the barefoot movement, but even back then I managed to get a good looking and functional hoof established. Low heels and short toes were imprinted on me by the exposure I had. My official training since then include Dr. Strasser’s extensive hoof course ( I do not endorse her trimming techniques), and attendance of many hoof clinics by many different practitioners, many cadaver dissections, lots of trimming myself and continuous learning via the internet. The one advantage I have over a professional hoof care provider is that I live with my horses on a daily basis, observe them and deeply care about their wellbeing. As I train them in basic dressage, I have developed a very good understanding of soundness and quality of movement. Whatever changes occur to the hooves affects the entire horse, and I learned to recognize the smallest and seemingly unimportant happenings. Not to say that I have all the answers, as the more I learn about hooves, which is really daily, the more I realize I don’t know yet. But there are some very basic guidelines to a healthy and functioning hoof, and as long as those parameters are met, the horse stands at least a 90% chance of being comfortable and able to perform well barefoot. The last 10% or so may not matter at all to a horse with a normal conformation and naturally good feet, but for horses not so fortunate these 10% can mean all the difference. I have been involved with horses since my early childhood in Germany. At the age of 14 I earned the Youth Bronze riding and driving medal. At the age of 23 I became licensed as a riding instructor by the German Equestrian Federation and have had many years’ experience teaching horses, riders and drivers before coming to the US in 1983. I also hold a degree as a grammar school teacher. In 1984 I established Xenophon Farm in Hampton CT, and trained and taught there for 15 years. I also competed for 15 years in both riding and driving, but preferred the carriage driving competitions and was very successful at all levels, mostly with single horses, but also with pairs. In 1999 I retired from all this, to spend more time with my own horses and learn about other horse related topics. In 1989 I was asked to serve as a member of the Dressage Committee of the American Driving Society, and shortly after was elected as Chairman. During my years as Chairman, I helped create the video “Driven Dressage” and the “Manual for Driven Dressage”, both published and for sale through the American Driving Society. I was also instrumental in the recognition of the Lateral Bend in driving horses. 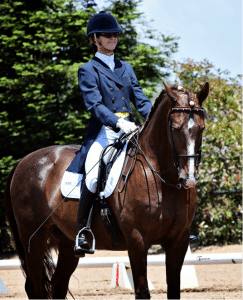 For several years I was very active as judge and clinician, authored many articles and coauthored the book “Carriage Driving A Logical Approach Through Dressage Training” with Sarah Blanchard. Due to the success of the book, I gained world wide recognition as a driver and trainer and received many invitations for clinics abroad and within the US. Since my retirement from teaching and competing, I have been an avid student of many other horse related subjects and modalities like chiropractic, farriery, massage, nutrition, Natural Horsemanship, energy therapy, homeopathy etc.. In 1992, my husband and I moved to Vermont where we enjoy our horses on long trail rides and drives along the beautiful back roads. My emphasis is now on affording my horses a lifestyle as natural as possible, and working them in the most noninvasive manner, mentally and physically. A career scientist, Dr. Trott has won more prestigious awards than many of us have ever heard about. Scholarships, research awards; how about Young Australian of the Year: National Finalist, Science and Technology (2001)? That was a pretty good start. Currently employed at the University of California at Davis, one of the premier animal research facilities in the world, she has overseen and directed whole laboratories devoted to animal science. Josie got her start with horses at an early age, riding and caring for horses at an Arabian stud farm in Albion, Australia. She studied under many well-known tutors including Manolo Menendez, Debranne Pattillo, Dr. Kerry Ridgeway, Dr. Hilary Clayton and Gene Ovnicek. For 11 years she was horse barn manager and clinician at Everything Equine, a premier northeast equine exposition. Her riding awards are no less admirable. She earned the USDF Gold Rider medal on Donatelli III (2015). In 2108, she took the Adequan/USDF All-Breeds Award for the American Morgan Horse Association for HD Redford 1st at Intermediate II and 1st at Grand Prix. She trained two barefoot horses to Grand Prix dressage and competed successfully at USDF/USEF rated shows. This is very important to us as our commitment to barefoot competition is 100%. Dr. Trott is one of our go-to researchers for the deep science aspect of our work here at OnikoLabs. It’s one thing to say your horse stuff is good, quite another to prove it in a scientifically structured comparative study (which you can read elsewhere in this website). And, every once in a while, she “throws us a bone”: She recently tested our Equinell™ Shampoo on a standard poodle with a widespread and persistent fungal infection. She reported the infection was cleared in one application. Had this come from another individual, it would have made a good testimonial, but from her it carries the strength of a qualified technician. Clearly, Dr. Trott has worked herself up through the ranks to become one of those women of science we all have much to be grateful for. Department of Animal Science, University of California, Davis, CA, USA. Responsible for two research projects. Firstly, molecular analysis of prolactin receptor genotypic variation and function in swine. Secondly, developing a pig model of breast cancer, using sorted, lentiviral transduced, primary mammary epithelial cells from pigs, injected into mice and isogenic pigs. Assisting with a project investigating the effects of conjugated linoleic acid on the mammary glands of mice. Prepare and edit manuscripts, assist with grant writing. Manage all aspects of a busy laboratory comprised of undergraduate and graduate students and postdoctoral fellows, including associated safety and animal documentation. Department of Animal Science, University of Vermont, VT, USA. Establishing the pig as a model for breast cancer. Managed co-operative student-run horse barn with 14 students and 20 horses. Lecturer and teaching assistant for ASCI 115 (Introduction to Equine Science), ASCI 121 (EQUUS), ASCI 119 (Equine Training Techniques), ASCI 205 (Equine Reproduction and Management), ASCI 098 B (Horse Barn Cooperative), ASCI 198 (Advanced Equine Instructing Techniques), ASCI 098/198 (Basic Equitation -Beginner and Novice). Department of Animal Science, University of Vermont, VT, USA. Molecular analysis of the prolactin receptor; endocrine regulation of transcription from the mouse mammary tumor virus promoter. Laboratory management including purchasing, laboratory safety documentation, writing and editing manuscripts, assisting with grant writing and supervising undergraduate and graduate students. National Cancer Institute, NIH, Bethesda, MD, USA (mentor Barbara Vonderhaar). Two research projects. Firstly, I identified new forms of the prolactin receptor in normal and cancer human tissues. Secondly, I resolved prolactin receptor isoform expression in the mammary glands of mice at different stages of development. Department of Zoology, Melbourne University, Australia (supervised by Professor Marilyn Renfree) and Victorian Institute of Animal Science, Attwood, Australia (supervised by Dr. Kevin Nicholas). Thesis Title: Endocrine and Local Regulation of Milk Protein Gene Expression in the Tammar Wallaby, Macropus eugenii. Conferred September 2nd, 1999. (2001) Young Australian of the Year 2001: National Finalist, Science and Technology. (2001) Young Australian of the Year 2001:NSW State, Science and Technology. (2000) Young Australian of the Year 2000: Runner-up, NSW State Science and Technology. (1996) Winner of University of Sydney Convocation Medal, to top graduate of 1995. (1995) Department of Natural Resources and Environment: Nancy Millis Research Award. (1995) Wesfarmers-Dalgety National Scholarship in Agriculture. (1995) Sydney University: Faculty of Agriculture Dean’s List. The specific major discovery regarding Mr. Boegli’s and my project was the synergistic effect of menthol and origanum (combination of selected oils). Originally, both the menthol and oils were presented for my antifungal testing with coded labels. My role in this series of projects was to test the in vitro effectiveness of various formulations on the notorious dermatomycotic fungus, Trichophyton rubrum. The parameter selected for this effectiveness was “magnitude of growth”, measured by colony radii at two day increments of culture. The lower the radius values indicating the greatest extent of inhibition. The selection of the test organism in this series of experiments was mine, based on Mr. Boegli ‘s original personal interest in infections of the foot, and my personal knowledge of this tinea pedis form of fungal infection. Neither one of us derived any aspect of methodology in our experiments from anything done previously, since all my graduate research involved fungi, and my methodology in these more current experiments was developed from my own experience. I chose alcohol as a carrier, and used controls accordingly. 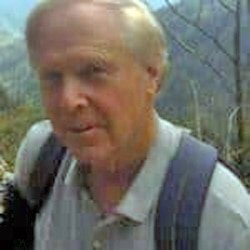 My selection of test species, culture medium, incubation temperature, and parameters for determining measuring inhibition of growth were likewise based both on my experience and the chemical nature of Mr. Boegli’s test materials. Furthermore, I was requested to test an extensive range of concentrations of selected origanum mixtures against what appeared to be the optimum concentration of menthol. The selection of materials to be tested was purely without basis to me, since Mr. Boegli wisely and properly didn’t reveal his basis for selection to me. Ultimately, among the various formulations sent to me for testing, I discovered that the combination of two substances, menthol and origanum, gave especially strong inhibition against T. rubrum. This was a surprise to both Mr. Boegli and myself. At that point I was made aware of the identity of the two materials – menthol and origanum. Notice in my report of Oct. 8, 2009, I was given the name “crystal ” for the one substance and “Ux” for the others, with x representing different forms of origanum (total of 7). In my repeat experiment report of Dec. 27, 2009, I called them “menthol ” and “Org”, and in that report the results confirmed the previous report, plus an even earlier report of Sept. 3, 2009, where the menthol/org combination showed an unmistakable and pronounced synergistic effect against the test organism. Research Project: Microbial transformation of steroids by the fungus Calonectria decora. Responsibilities: Taught Mycology, Bacteriology, and Microbiology. Responsibilities: Taught Mycotic (fungal) infections as part of a team taught course to 2nd year medical students. Responsibilities: Lectured and conducted labs on fungal infections to 4th year Medical Technology Program students. Founder of Microbiological Consultants (incorporated and partnered with Frank Binder in 1983).